Contact Scott anytime at (413) 429-6400 or scott@scottsaneslaw.com. I am a personal injury trial lawyer advocating for injury victims since 1982 in Texas and now in Massachusetts. I am the only personal injury attorney in the Berkshires with 34 years of experience in questioning jurors during jury selection (attorney questioning started in Massachusetts in 2015). Any client that hires me gets passionate and personal representation. You never get passed to an associate or legal assistant - and I am very responsive to clients, returning emails and calls in short order. I have won dozens of million dollar+ settlements and jury verdicts on behalf of my clients. With my wife, Cherri, I co-founded ExtraSpecialTeas in Great Barrington, MA. ExtraSpecialTeas is a non-profit organization that provides an outstanding vocational program for young adults with special needs in a dynamic teahouse setting. I am committed to my Berkshires community and have served on several non-profit boards: The Eagle Fund, The Option Institute and Fellowship, and Stanton Home. Please contact to me set up a free case evaluation. I can be reached anytime at scottsanes@aol.com or at (413) 429-6400. I have 34 years experience representing personal injury victims. I am the only lawyer in the Berkshires with deep experience in questioning jurors during jury selection. I have won dozens of multi-million dollar settlements and jury verdicts on behalf of my clients. I represent people who have been injured in car accidents, trucking accidents, slip and falls, and other accidents. 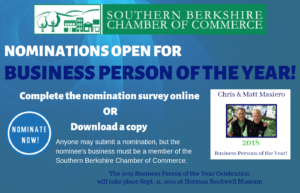 I have lived in the Southern Berkshires for 17 years and am committed to this community.